The Gravity Feed Spray Gun is a high performance, well-balanced spray gun with adjustable fan for painting large or small areas. The Spray Guns can be used for both our Aqueous and Solvent-based Adhesives. 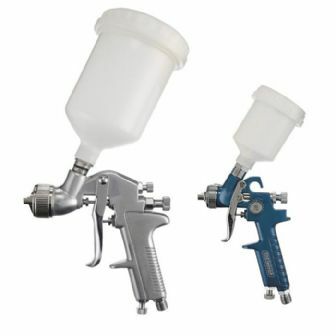 The Spray Gun is extremely easy to use, easily refillable with nozzle and plastic cup. The Spray Gun is widely used for automotive refinishing where air supply is limited.